Skeleton of a Chinese man who died of thirst in the Northern Territory., c. 1914, courtesy of State Library of South Australia. 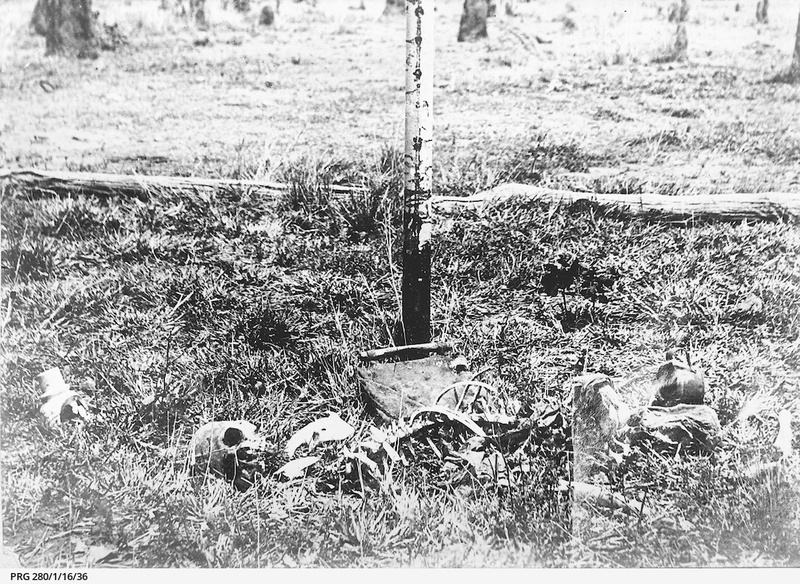 Skeleton of a Chinese man who died of thirst in the Northern Territory. photograph; 10.5 x 15 cm. Reproduction rights owned by the State Library of South Australia.